Now, what can I do to get you into this brand new video game today? 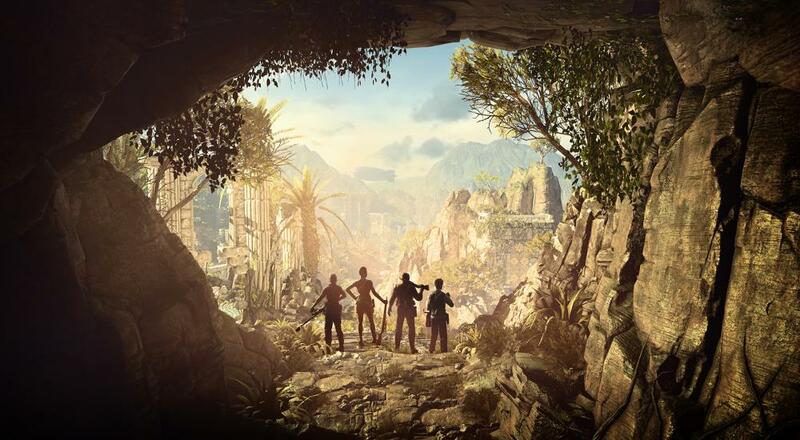 Rebellion's cooperative "Left 4 Dead meets Tomb Raider" FPS game, Strange Brigade, officially released yesterday on the Xbox One, PC, and PlayStation 4. If you've got a hankering to shoot mummies with friends and then solve some puzzles, then this may just be the one for you. We captured some of our experiences with the first campaign mission and a bit of the horde mode last week, so you can check that out if you're curious to see how the game plays. We'll undoubtedly do a stream of it soon, too, as part of our regular Monday night "Let's Play Co-Op" streams, if you need to see a bit more. While I haven't spent a lot of time with it, I had a lot of fun with the bits we played last week and looking forward to playing some more. It's got just enough character progression in it to keep you coming back but without as much of the random loot aspect like in Vermintide 2. Strange Brigade is available on PC, PlayStation 4, and Xbox One. Four player online co-op is supported in the main campaign, Score Attack, and Horde modes. If you buy the game anytime during the next 30 days, you'll get a fifth character - Winston Bey - for free. Page created in 0.2435 seconds.